On July 12, Ulster Protestants celebrate Orangemen's Day, also referred to as Battle of the Boyne Day or simply the Twelfth. It has the status of a public holiday in Northern Ireland. The Battle of the Boyne took place in 1690. In this battle, William III of Orange defeated the Jacobite troops led by James II of England. His victory helped ensure the continuation of Protestant ascendancy in Ireland. In 1795, the Orange Order was established. The Order is a protestant brotherhood named after William III of Orange. It focuses on defending Protestant religious and civil liberties. In 1796, the Order held the first marches dedicated to the Twelfth in Waringstown, Lurgan and Portadown. The Twelfth celebration includes large parades held by Orange lodges, performances by Ulster royalist marching bands and speeches by senior members of the Order, politicians and clergymen. Special church services also take place on the occasion. On this day, Ulster Banner and Union Jack are flown from houses and lamp-posts. 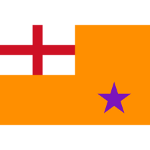 In some areas, the flags of Ulster Defense Association, Ulster Volunteer Force and other loyalist paramilitary groups are flown, which often leads to tension. The Twelfth is generally a tense time in Northern Ireland because nearly half the population are Catholic.